How to add SKU field in invoice? You want to show the product SKU along with the product on the invoice. SKU is the unique identifier that is used to identify the product or any of its variants. It is used to track inventory and mapping products when integrating with other marketplaces. 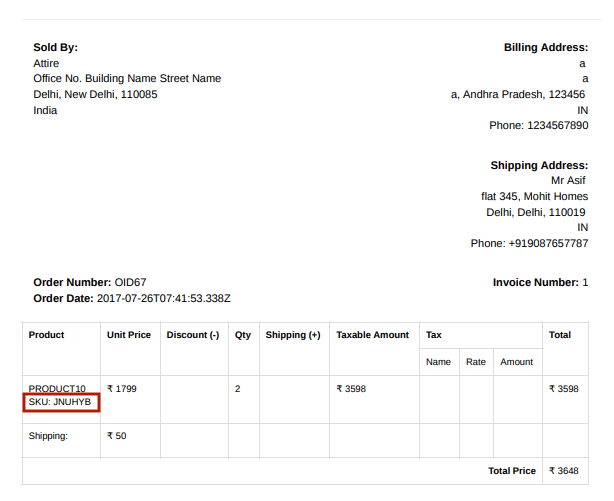 By default, only product name, tax and amount appears on the invoice. 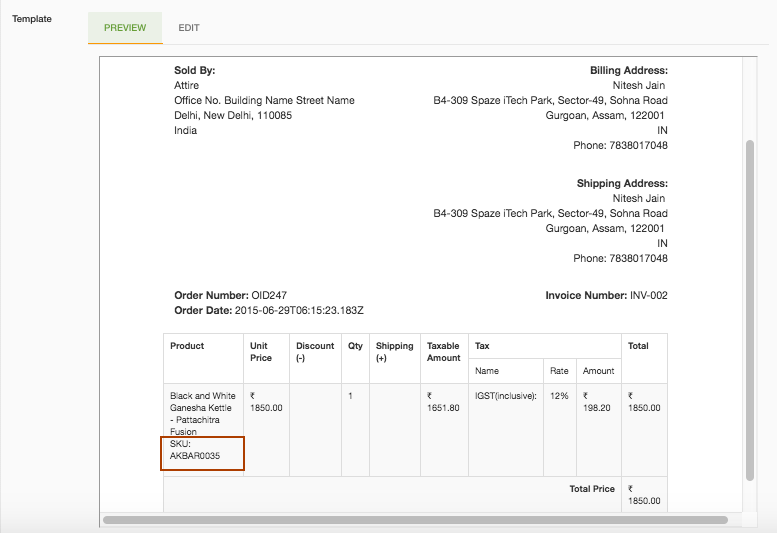 To add the SKU along with the product, you need to make changes to the invoice template. 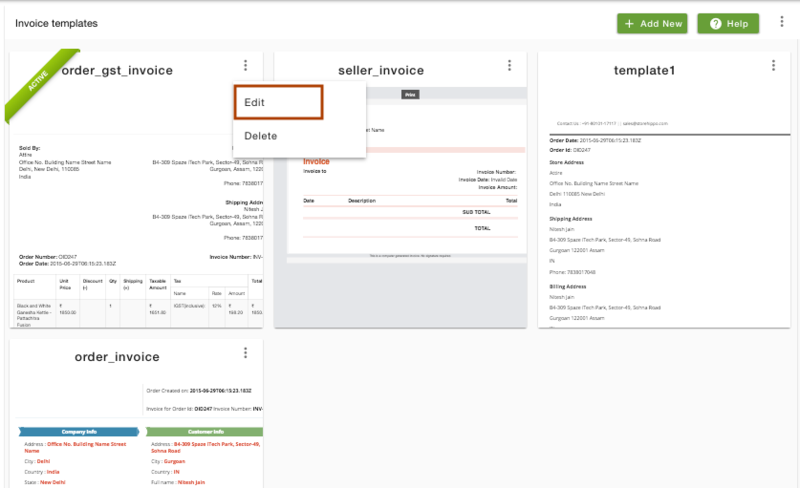 Invoice Templates section of StoreHippo Admin Panel allows you to customize the invoice templates. Go to Settings > Invoice Templates section in StoreHippo Admin Panel. On the template in which you want to make changes, click on the ellipsis button and choose Edit from the drop-down. 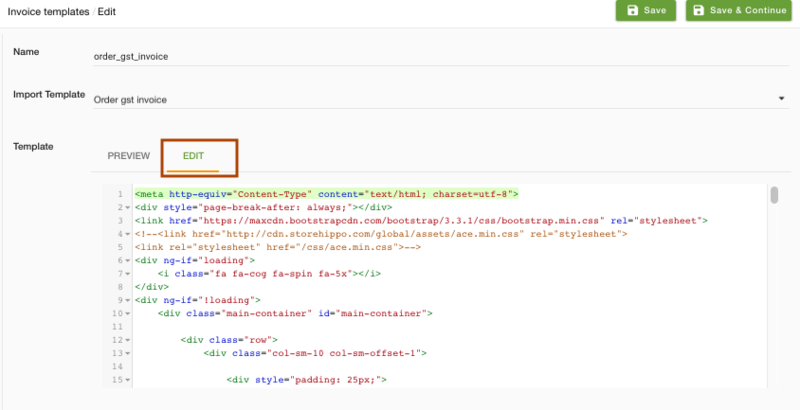 The edit form appears, go to the Edit (Code) tab in the template field. 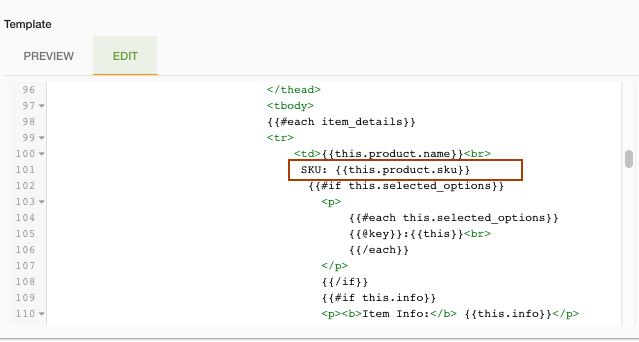 Find the "item details" in the code and paste the following code for product SKU as shown below. You can go to the Preview tab to review it. Click on Save to save the changes in the invoice.